Table pin spotting is a fantastic way to highlight the centers of your table. It is ideal for wedding receptions and corporate events and perfect if your venue as industrial type house lighting that you don’t want turned on for the duration of the event. 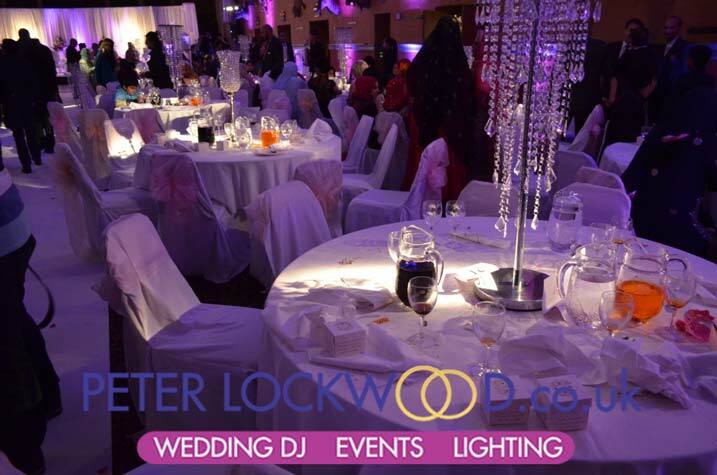 The centre of the table is lit with a focused beam of light to create an amazing atmosphere. As you can see in the pictures pin spotting works well with uplighting, this allows you to fully turn of your venues lighting. The Pin spots that I use are par 36’s they have a 6v 30w lamp providing a warm white beam of light. 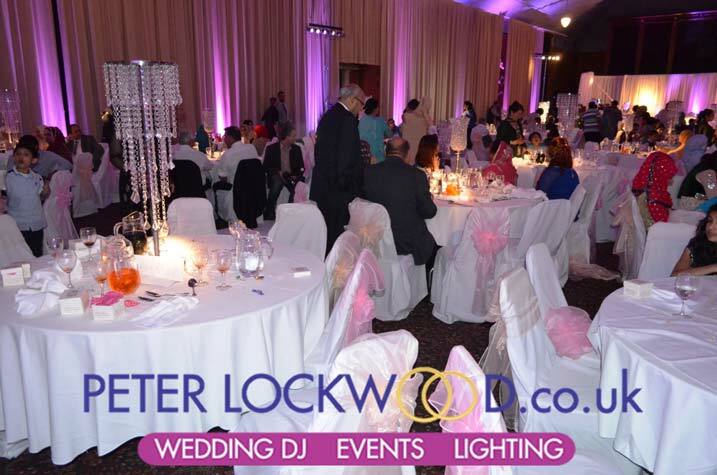 Below are a couple of pictures from Tatton Park showing the Table Pinspotting at a Asian Wedding I also provided the uplighting.